According to 1 Thessalonians 4, we are instructed to live a life that is pleasing to God. God has called us to holiness, and we have been given everything that we need to live as a follower of Jesus Christ. Holiness is defined as “sanctify”, to separate yourself from the world and to be dedicated to God. We dedicate ourselves to following Christ inside and out. Holy living, not perfection, grows out of personal fellowship with God. God is concerned with our daily walk, and with how we live the Christian life. God created man in His image because He longed for a relationship with us. Holiness is an honor and our commitment, so that is more than being nice, saying the right words, doing the right things, acting a certain way, living by a checklist of conduct, etc…. Holiness is the who we are when no one is looking and we are alone with our God. The doing what is right, even when no one really knows the total story. It is being at peace with God and resting in the surrender of “for Your will be done” and knowing that God knows and He is near. The proof of that settled time with the Lord, purposefully prioritized every day, will produce the outward manifestation of holiness. The fullness of who He is IN us as we have been set aside for holy use! He uses and works through our humility and brokenness. Perfection is not the goal. We all inherited sin‘s nature when man fell. And on this journey of faith, there will be opportunities for the “perfect storm” to unsettle our sails and we fall. We will fail. Repent (turn back to God). Surrender. Confess. Grow. And in spite of sin’s nature within us, we will be used by God because that is how HIS grace works through the power of the Holy Spirit in and through us. He continues to love us, grow in us and shape us into the people He created us to be for his good pleasure. God is calling us to the more of who and what He is and in every good and difficult place, we must consistently seek and pursue Him. In every still moment we are bound by covenant to acknowledge Him. And in every privilege and call to holiness, He will work all things for our good and His glory. Let’s find the daily quiet together. We are encouraged in 1 Thessalonians 4:11a, “to aspire to live quietly. So, let’s do this thing by slowing our minds and hearts to find the quiet moments as an opportunity for more simple, yet full living. I promise, the rewriting of your time will be the best thing you can do each day. Take the first step. Choose a verse to meditate on each day. Use the Four “L’s” to help you slow the pace and find the answers you long for in your heart. In the quiet, with humility, focus on the verse and LOOK for the answers to the need that you have and how the Lord wants your heart to see. Ling just a little longer than before….. In the quiet, with a rational mindset, clear the clutter. Lean in closer to HEAR the answers for the need that you have and how the Lord wants you to hear. Do not miss this time as God often whispers in our stillness. In the quiet, when life happens and anxieties desire is to stop any spiritual progress, LIFT UP the verse you are focused on and pray it back to the Lord. Cry out to Him as you give back the need that you have. God wants to carry this burden. His heart rejoices when we release and lift our heaviness, burden, fear, concerns, doubt, etc… back to Him. So, you can let go. Really. In the quiet, where God begins the working of all things together for good, begin the process of LIVING as an active participant in finding the answers to how God wants you to live out HIS holiness in your life. How will this verse change the steps that you take today? God longs to see His Word come alive in you, His beloved. 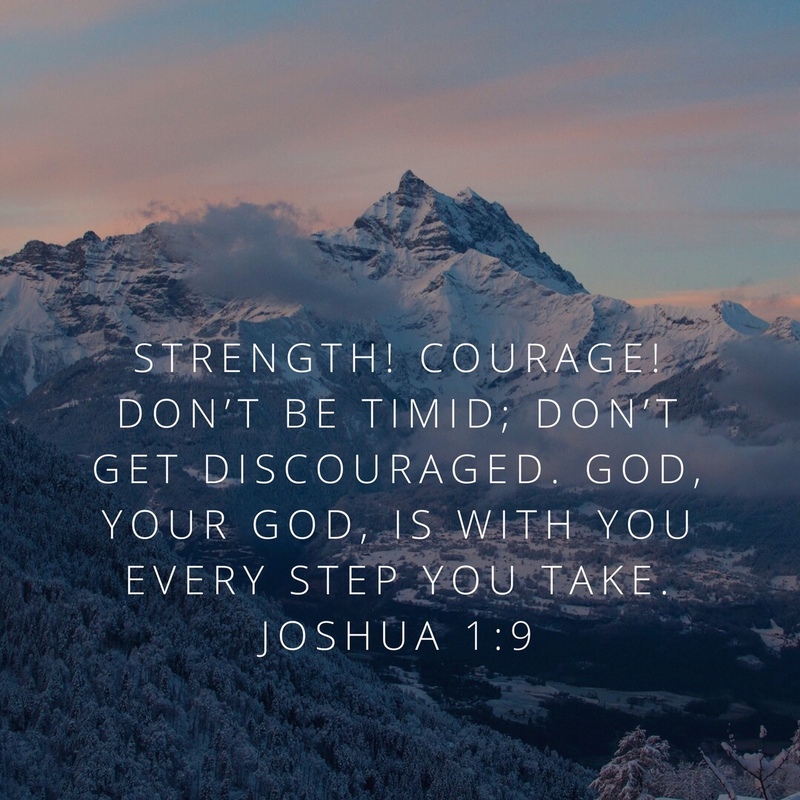 One foot in front of the other….take courage in His promises. Be assured, that God will meet with you. He is there in every moment of every day. His gaze is fixed on His creation and the role that we play in the work of His kingdom. It. Is. Written. God’s grace abounds in His presence. This is the safe shelter and where we find the settled preparation for our soul’s life work…..in the multiplied quiet moments that fill our lives. His story continues as He moves and works in and through your life. It is a beautiful thing in this world. His. Will. Be. Done.